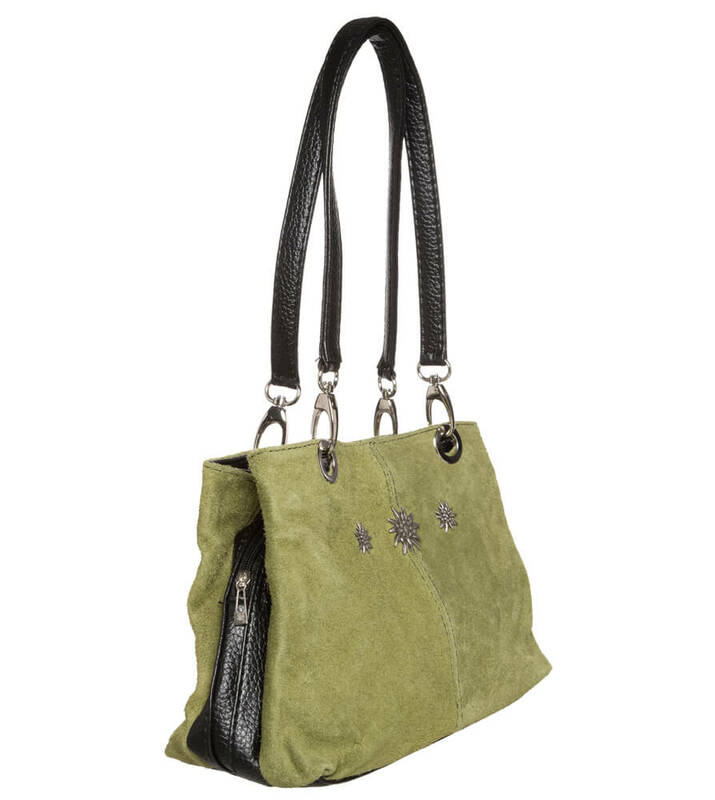 Olive-coloured Trachten bag with edelweiss details. Going on an adventure? Shopping with your best friend? Or attending a smart dance party? 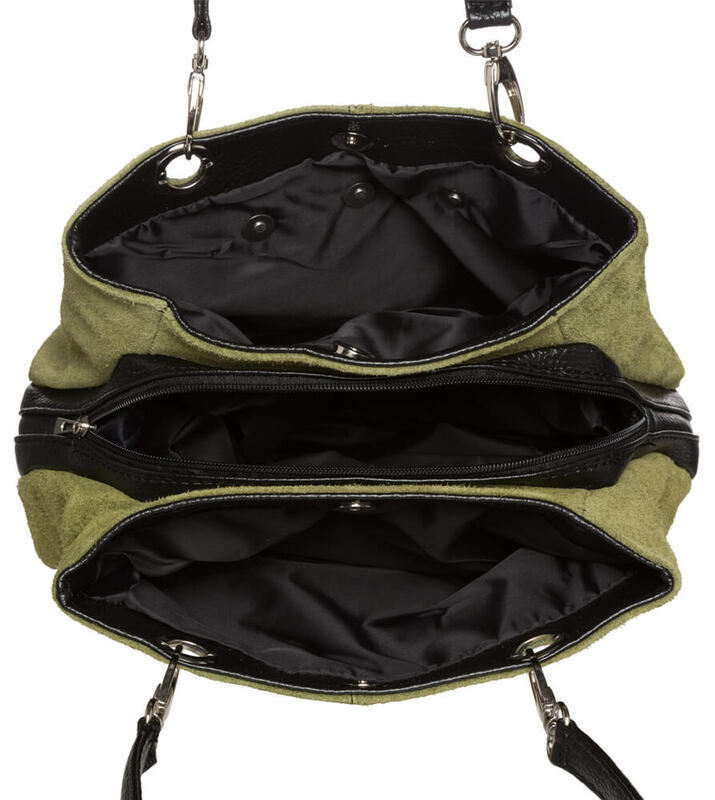 This fashionable olive-green shoulder bag by Schuhmacher is just raring to go. 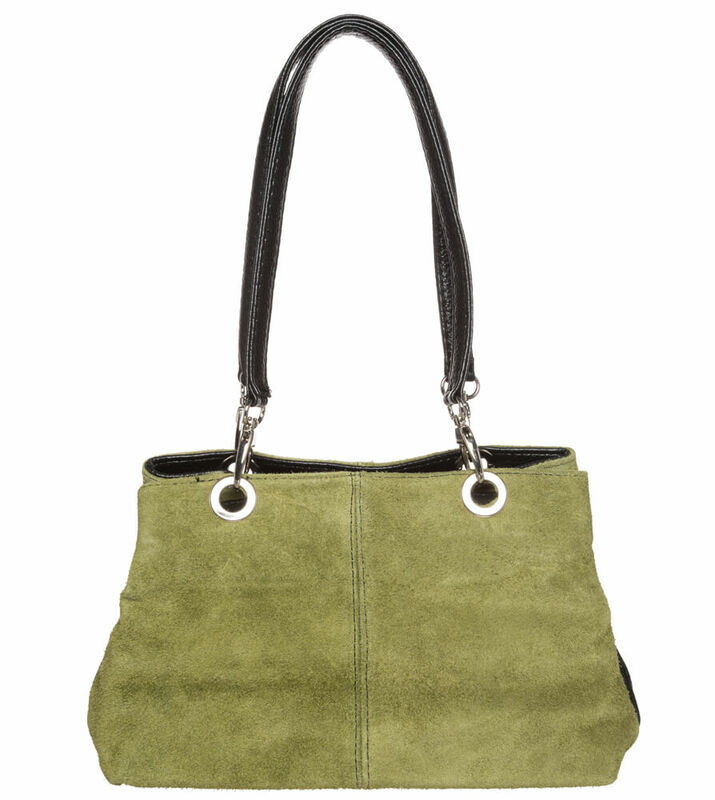 The soft suede contrasts wonderfully with the bag’s dark brown straps and strengthened bottom. Three lined compartments offer plenty of room for all your everyday essentials, as well as any cute little purchases you make. The mixture of modern cut and traditional details means that this bag can be worn just as well with a dirndl as it can with an office outfit, and makes it a reliably stylish companion. 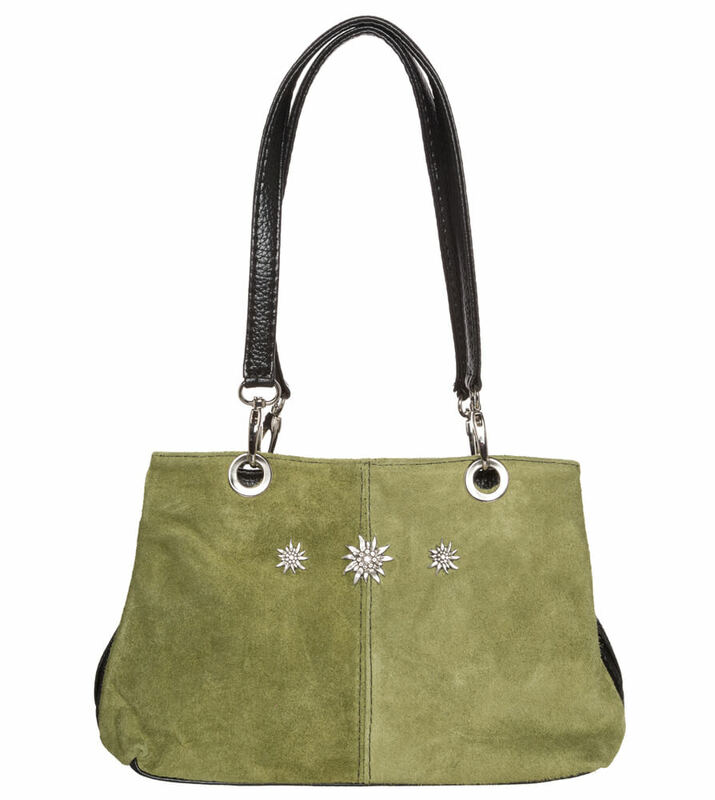 Three silver edelweiss appliqué adorn the front, making this bag a must for every Trachten fan.